Kyle and Davis on their Scouting achievement. 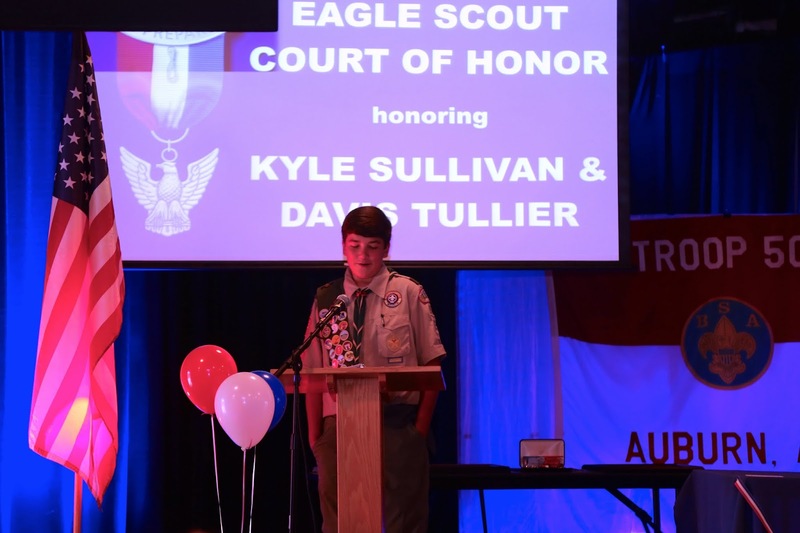 On August 14, at Auburn United Methodist Church, Boy Scout Troop 50 bestowed the Boy Scouts of America’s highest rank during the troop's first joint Eagle Scout ceremony honoring two of its founding members and newest Eagle Scouts—Kyle Sullivan and Davis Tullier. 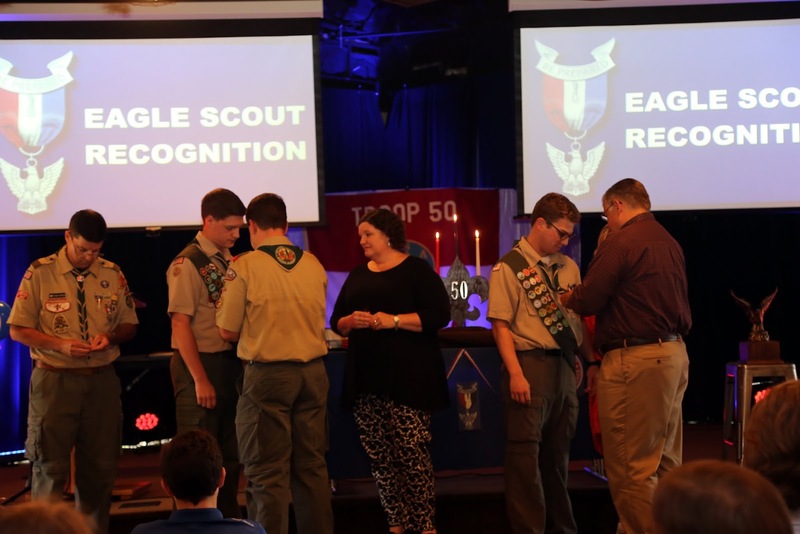 The pair appeared before the Saugahatchee District’s Eagle Scout Board on May 17, 2016, making them among the three Troop 50 Scouts to earn their Eagle in 2016. 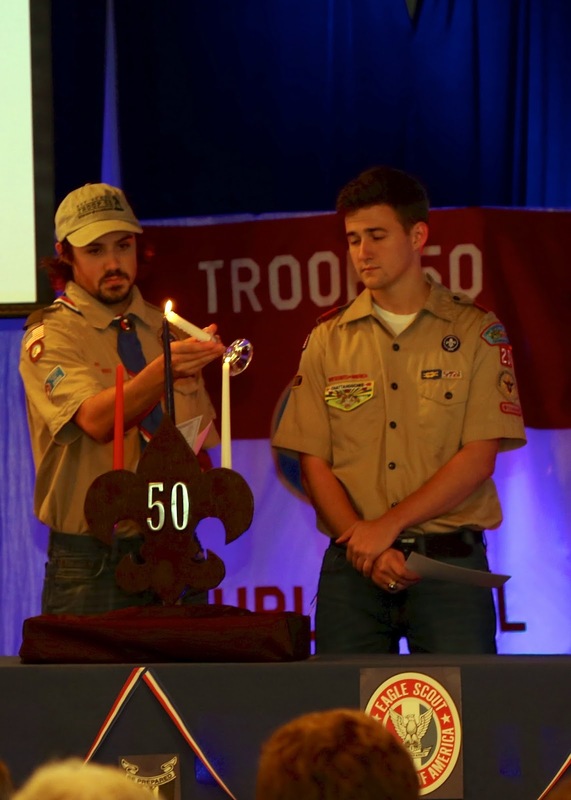 Since its founding in 2012, Troop 50 has guided 11 young men to earning Boy Scouting’s highest award. Senior Patrol Creighton led those in attendance in the Pledge of Allegiance, Scout Oath and Scout Law. Rev. Charles Cummings, associate minister for Auburn United Methodist Church, where Kyle and Davis worship, offered an opening prayer. 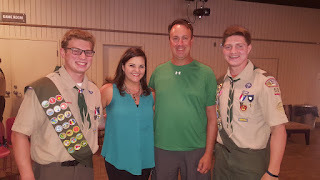 Saugahatchee District Committee Chair Julie Hoff provided officially opened the court of honor and offered congratulations to Kyle and Davis before turning the program over to Scoutmaster Andrew Baird. Mr. Baird recounted some personal memories of his seven years working with Kyle and Davis as an assistant scoutmaster, and more recently, scoutmaster—including the pair's culinary experimentation with bacon-wrapped Little Debbie products. 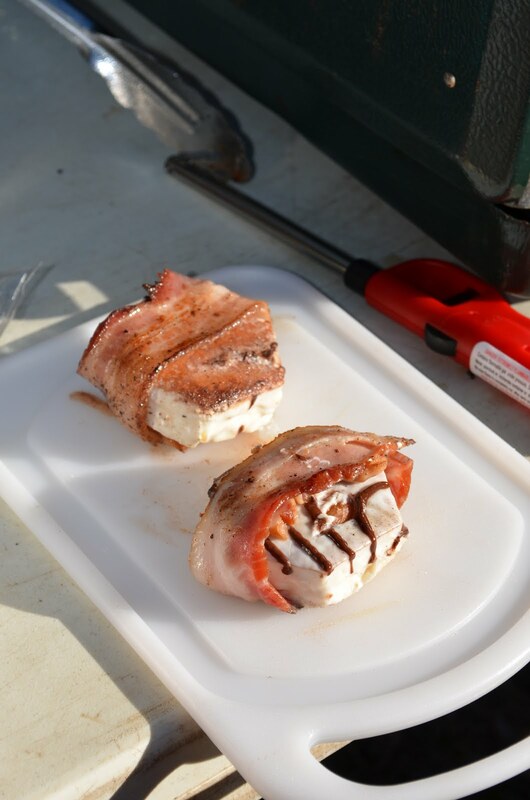 The first of these were bacon-wrapped Zebra Cakes at the district's spring camporee in March 2013, followed a year later by bacon-wrapped Cosmic Brownies at the troop's annual planning retreat in May. 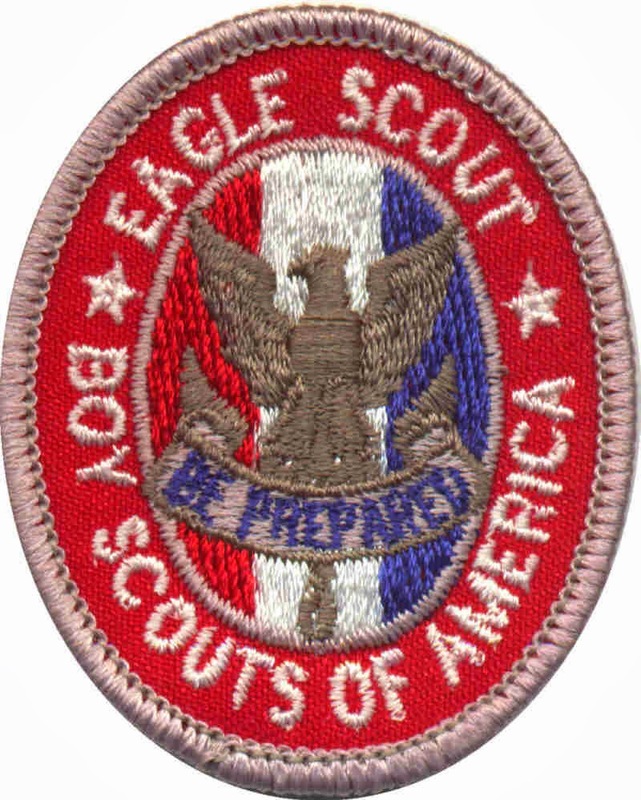 The program then included an emphasis provided by the court of honor's Eagle Scout honor guard on the Eagle Scout attributes of honor, loyalty, courage, and duty. The honor guard included Chris Perry, friends of both Davis and Kyle, brother of Troop 50 Eagle Scout Robert Perry, and a member of the Eagle Scout Class of 2009; and Matthew Hutto, a coworker of Davis' who earned the Eagle Scout rank in 2010. Mr. Baird the reminded everyone of the importance and significance of Davis and Kyle's efforts to earn the Eagle Scout rank—a journey that included both young men joining Cub Scouts in 2004, crossing over to Boy Scouts from Pack 29 in 2009, and appearing before the district's Eagle Scout Board of Review panel on May 17, 2016. 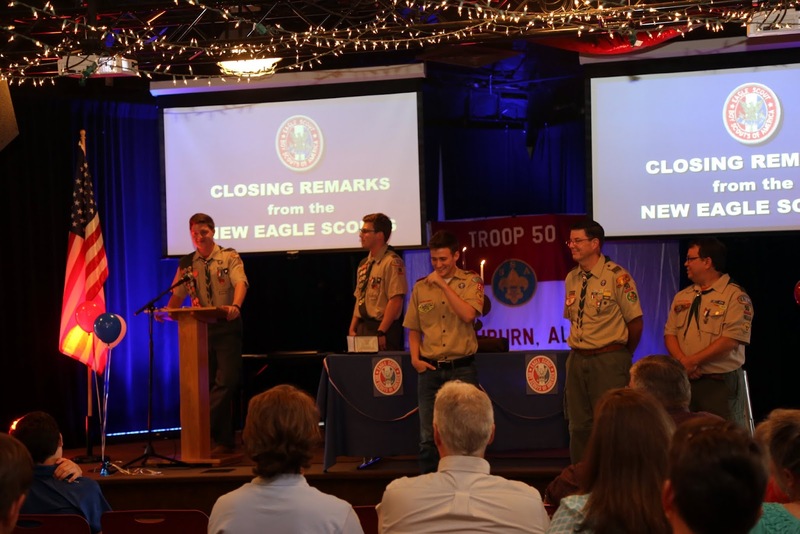 He then administered the Eagle Scout Promise to the new Eagle Scouts, who were accompanied by more than a half-dozen Eagle Scouts also in attendance. Moms then pinned the Eagle Scout medals and fathers presented Eagle Scout neckerchief slides to the new Eagles. They in turn presented mother and father pins to their parents. Michael Tullier (left) and Art Sullivan (right) present their sons with Eagle Scout neckerchief slides. 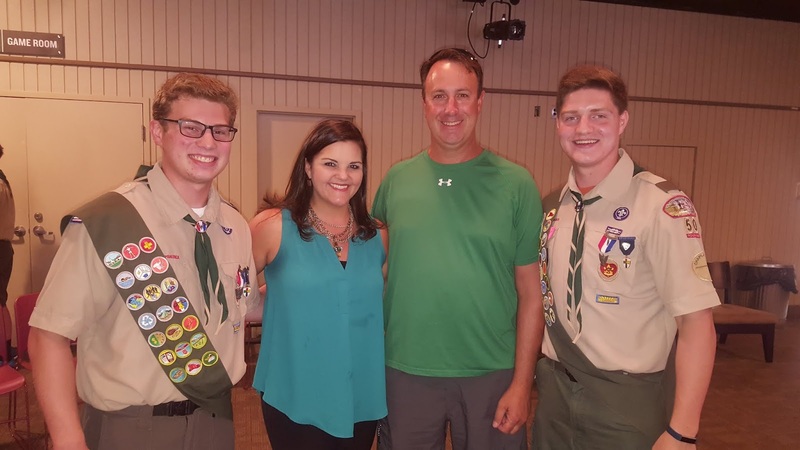 Troop Committee Chair Rob Stanford congratulated the pair on their achievement, and presented each with membership in the National Eagle Scout Association on behalf of the troop to both Scouts. In addition, Mr. Stanford noted that the pair received certificates of special congressional recognition from Congressman Mike Rogers, commending them for completing the requirements for the Eagle Scout rank, and congratulatory certificates from the National Society of the Sons of the America Revolution. 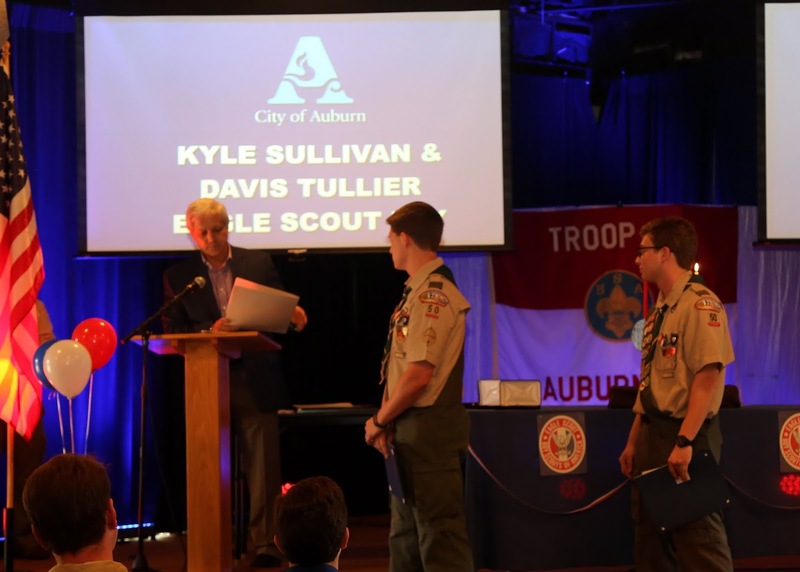 Auburn City Council Mayor Pro Tem Ron Anders also presented the pair with a proclamation from the City of Auburn declaring August 14 as “Kyle Sullivan and Davis Tullier Eagle Scout Day” in Auburn. Aug. 14 as "Kyle Sullivan and Davis Tullier Eagle Scout Day" in Auburn. Davis awards Eagle Scout mentor pins to (left to right) Hutto, Baird, and Stanford. Davis and Kyle then took a moment to thank everyone for attending and their support during their Scouting participation. 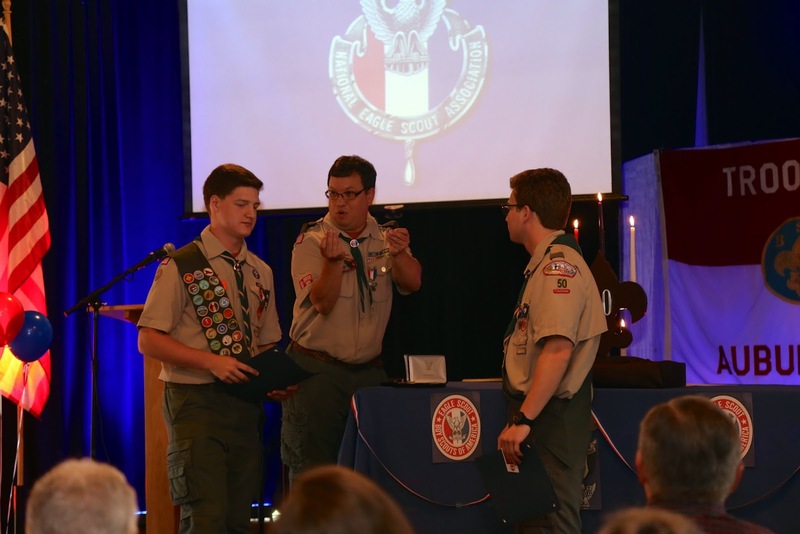 Following tradition, each new Eagle Scout presented mentor pins to those special individuals who supported their advancement efforts. Davis first presented his to fellow Eagle Scout and supervisor at Chick-fil-A, Matthew Hutto; his Eagle Scout Leadership Service Project coach and scoutmaster, Andrew Baird; and former Cub Scout Pack 29 cubmaster and current troop committee chair, Rob Stanford. Kyle elected to present Eagle Scout mentor pins to Scoutmaster Andrew Baird, Troop Committee Chair (and previous cubmaster) Rob Stanford, and his Eagle Scout Leadership Service Project coach and the troop's chartered organization representative, Michael Tullier. View a photo slideshow of Kyle and Davis' Scouting experiences and "trail to Eagle." About Kyle Sullivan: Kyle, the son of Art and Melissa Sullivan, previously served his troop as an assistant patrol leader, patrol leader, and patrol quartermaster. Through his Scouting participation, he earned 21 merit badges and the God and Church Protestant religious emblem, accrued more than 65 nights of camping, and was elected as a member of the Order of the Arrow, the national Boy Scout honor society. 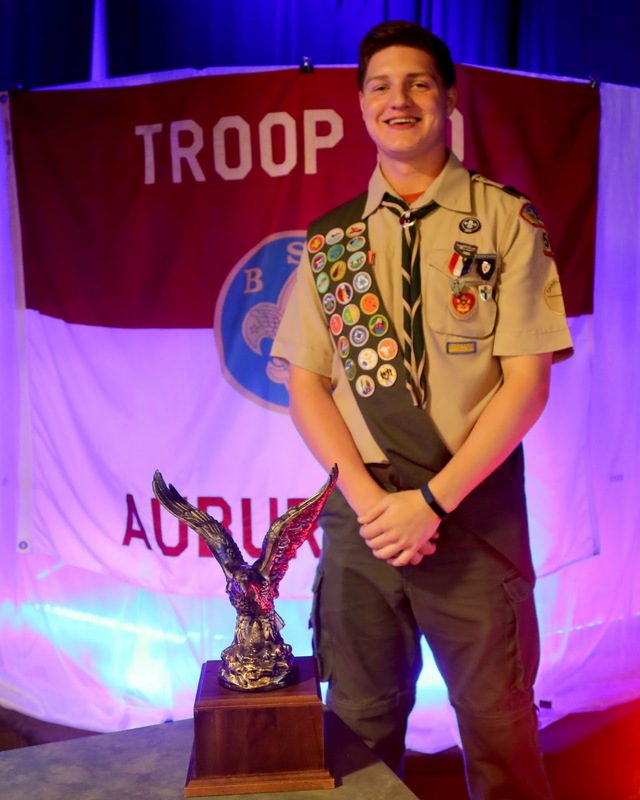 For his Eagle Scout leadership service project, Kyle developed an outdoor music classroom at Pick Elementary School, where students now enjoy an outdoor space incorporating an appreciation of both music and nature. His project accrued 136 volunteer hours from planning to completion, including the 41 hours he spent personally planning, leading and supervising the various stages of the project. Kyle graduated from Auburn High School in May 2016 and now attends Auburn University. About Davis Tullier: Davis, the son of the troop's Chartered Organization Representative Michael Tullier and Dianna Tullier, previously served his troop as a troop chaplain’s aide, patrol leader, troop guide, and assistant senior patrol leader. Through his Scouting participation, he earned 23 merit badges and the God and Church Protestant religious emblem, and accrued more than 75 nights of camping. 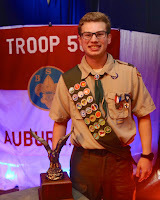 He was elected as a member of the Order of the Arrow, the national Boy Scout honor society, and in 2012 he completed the BSA’s National Youth Leadership Training, a six-day course equipping Scouts with leadership skills and experience applicable to both Scouting and personal situations. 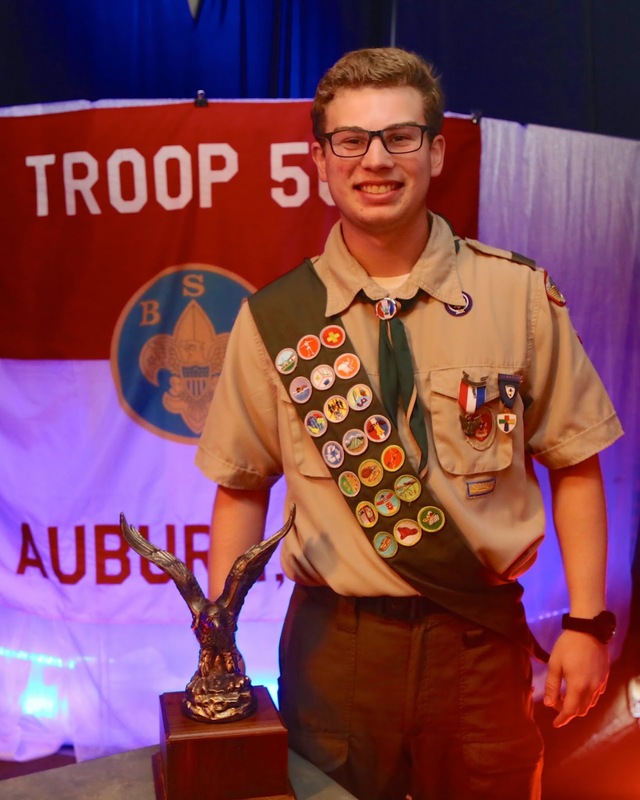 For his Eagle Scout leadership service project, Davis developed a nature trail and creekside outdoor classroom at Pick Elementary School, where students now learn about nature and biology in an outdoor laboratory. His project accrued 107 volunteer hours from planning to completion, including the 33 hours he spent personally planning, leading and supervising the various stages of the project. 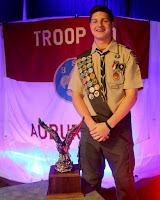 He is a second-generation Eagle Scout, joining his father who earned the Eagle Scout rank in 1989. Davis graduated from Auburn High School in May 2016, attends Southern Union State Community College, and works as a team leader at Chick-fil-A’s Magnolia Avenue location. 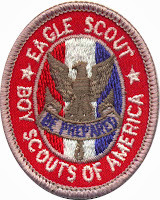 About the Eagle Scout rank: Since the first Eagle Scout was awarded in 1912, more than 2.25 million Boy Scouts have completed the Eagle Scout’s performance-based rank requirements, which currently include serving in progressive leadership positions, demonstrating outdoor and Scouting skill competencies, earning at least 21 merit badges, and planning and executing a seminal Eagle Scout leadership service project. For more photos from Davis and Kyle's Eagle Scout Court of Honor, visit the troop's online photo album.